Marine biologist Pete Klimley swims with the sharks. He was one of the first scientists to free-dive among sharks, and he has spent nearly thirty years studying shark behavior, sometimes swimming in schools of several hundred sharks. From his firsthand observations he has learned that sharks are not the vicious man-eaters that we imagine, but fascinating animals with complex behaviors. Most people who think of sharks at all think immediately of great white sharks. But there are more than four hundred species of shark. Dr. Klimley has studied several species, most notably the great white and the hammerhead. (He describes the great white as the athlete among sharks, and the hammerhead as the Ph.D. of the shark world.) In The Secret Life of Sharks Dr. Klimley reveals the significant discoveries he made about hammerhead navigation and great white eating habits. By studying hammerheads gathered around underwater seamounts, Dr. Klimley learned that hammerheads rely on sophisticated tracking of ocean-floor magnetism to navigate. His long-term study of great white sharks off the California coast demonstrated that these huge sharks prefer to eat seals and sea lions because of the energy contained in their fatty bodies. They are selective eaters, not the man-eaters we expect, and they sometimes go weeks between meals. But Dr. Klimley did observe a ritualized behavior that great whites practice in order to avoid deadly disputes over prey that one shark has captured and another wants. Although we have learned a great deal about shark behavior, says Dr. Klimley, there is much that we do not know. Unfortunately we are destroying these magnificent creatures of the deep through overfishing and degradation of the oceans. Already some populations of sharks have declined steeply. 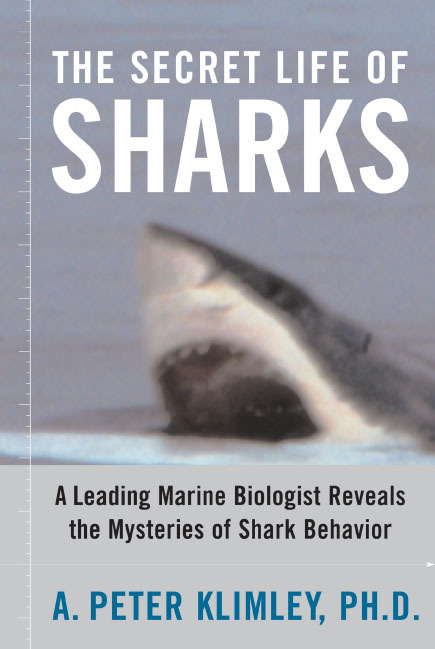 Vividly written by one of the foremost authorities on sharks, The Secret Life of Sharks is a fascinating account of some of the world's most magnificent animals.